American JRPG fans who own a 3DS have yet another reason to be excited for the upcoming year. Etrian Odyssey IV: Legends of the Titan will be coming to American shores early in 2013. 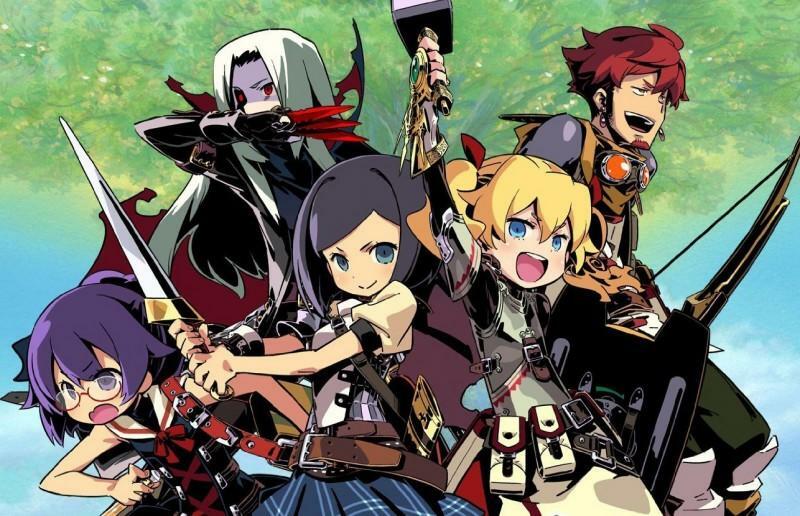 Atlus' popular Etrian Odyssey series has garnered a loyal fan base over the years by channeling the unforgiving first-person dungeon crawlers from the early days of the PC and Famicom. The main difference is that it does so with the most adorable art design possible for such a difficult series. Any cuter and it would be impossible to take these games very seriously. The three previous games are available on the DS, but newcomers should probably give a stab at the most recent entry first. Etrian Odyssey IV provides a casual mode for those unfamiliar with what the series is trying to achieve. This will eliminate the Game Over screen and allow unlimited use of an item that will teleport the party back to the hub town. Long time fans need not worry, though. Etrian Odyssey IV is just as taxing as the others in its series, and it still allows all the same customizable characters and party options. Only this time, the monsters will jump off the screen at you! It seems the only way to make Etrian Odyssey any more difficult to put it on a system your eyes can barely handle for five minutes. Etrian Odyssey IV: Legends of the Titan will be available for the 3DS in early 2013. It joins an already crowded list of tough JRPGs including Fire Emblem: Awakening and Shin Megami Tensei IV. The teaser site can be found here.